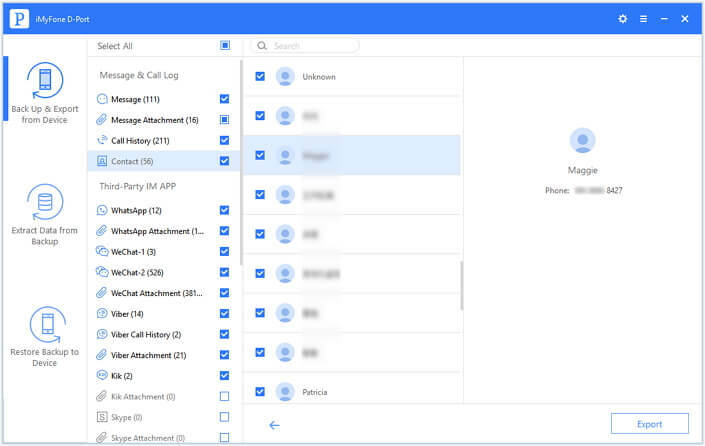 With no doubt, Contacts is one of the most important application on our iPhone and there are some very important information of our family, friends, colleagues, and business partners, like phone number, address, email. Therefore losing your contacts list would be pretty troublesome. We don't know when bad things will happen, but we can prepare for it by transferring iPhone contacts to computer. There are different ways to transfer contacts from iPhone to computer. You can sync them with iTunes/iCloud, export them with email or use Microsoft Outlook to transfer iPhone contacts to PC. But if you are not very familiar with those methods, or some unexpected situations happen, you current contacts on iPhone will be replaced or the transfer will fail. So in the tutorial we will offer one easier and safer solution on how to transfer iPhone contacts to computer. 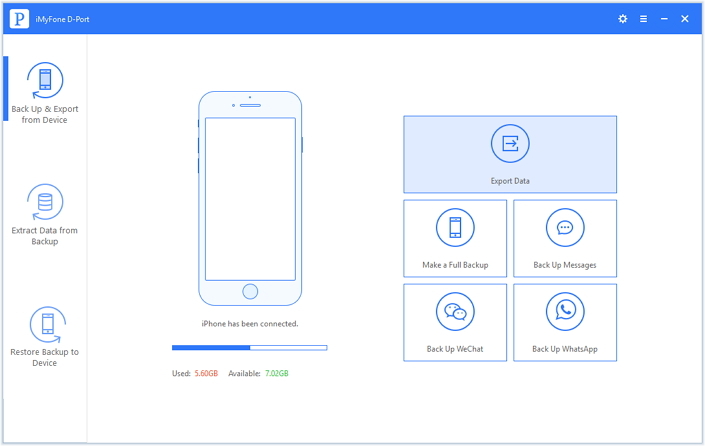 iMyFone D-Port iPhone contacts transfer tool is specialized in transferring contacts from iPhone to PC or Mac. 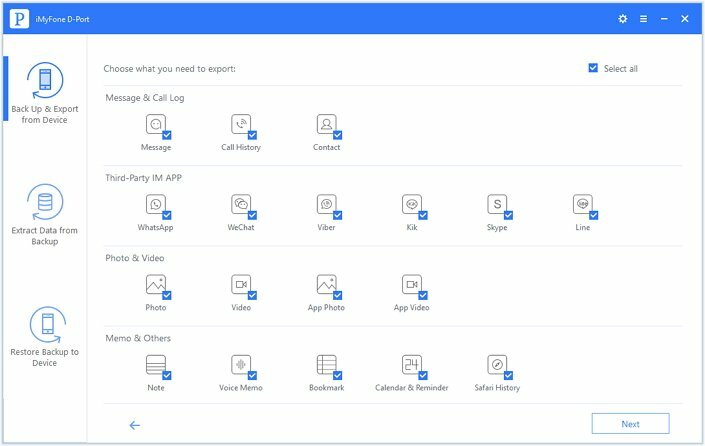 As one famous and popular desktop application, iMyFone D-Port shines with the following features. It can transfer iPhone contacts to computer without iTunes syncing. You can transfer all contacts, or just partial of them as you need. The transferring won't effect current contacts on your iPhone. It can also transfer contacts in your iTunes/iCloud backup to computer. 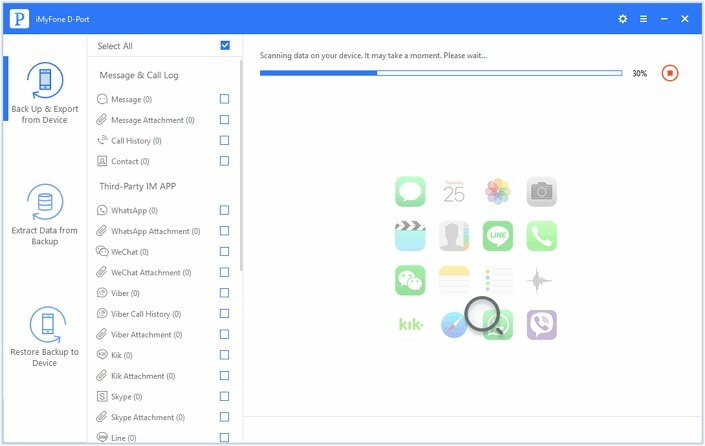 It can not only transfer your contacts but also the other data on your iPhone, such photos, videos, messages, the third-party app history and so on. And it also have other good functions which we don't have to list individually. What you care most is how to transfer contacts from iPhone to PC. And iMyFone D-Port also offers the easiest steps to make that. See the following content. 1 Run iMyFone D-Port and choose the mode "Back Up & Export from Device". Then click "Export Data". On the next window, check "Contact" (or any other types you want to transfer) and then tap on "Next" to continue. 2 Then you will need to connect your iPhone to the computer. After that, click "Scan" to search all the contacts on your iPhone. Wait a moment, iMyFone D-Port will list all the iPhone contacts for your preview. Browse them to confirm you need to transfer all contacts or just some important ones. 3 Click "Export" and choose one local path to save the contacts. Just in a few seconds, the transfer process will be completed and you can check them on your computer. With iMyFone D-Port, to transfer contacts from iPhone to computer is almost too easy. Besides, it will do more than you expect. iMyFone D-Port can also transfer iMessages, calendar, notes and more from your iPhone, iPad and iPod Touch to your PC or Mac with the similar steps. Besides, iMyFone D-Port Data Transfer Tool offers the free trial version to users so that they can confirm whether the application is what they need before purchased. If you have any doubt or problem about iMyFone D-Port, you can just leave a comment or turn to iMyFone Customer Support Team for help. Useful article. I downloaded the free trial edition and it previewed good. but I am not sure whether it can transfer contacts all. I have more than 500 contact numbers. can it also make that? Yes, Remon. iMyfone D-Back can transfer all the contacts on your iPhone.If you can preview these contacts when you try the program,it can transfer them.